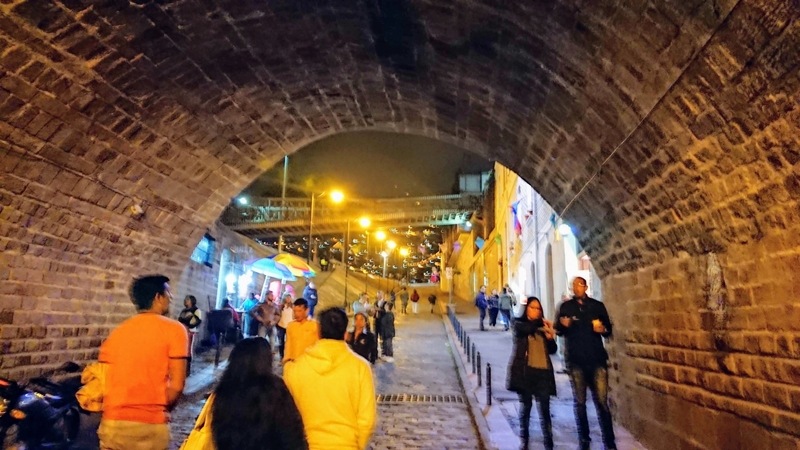 Each visit to Quito is a different adventure, in this time I decided to try its gastronomy. Quito as many cities of Ecuador have their typical and no typical dishes but which are visited by local and foreign people. 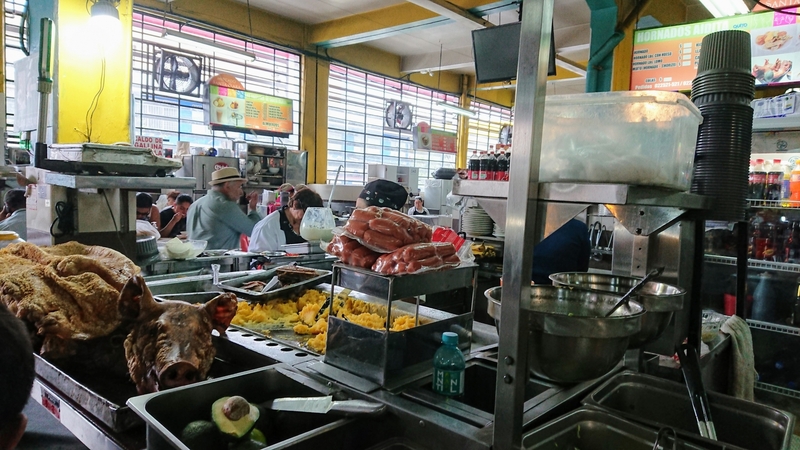 In Ecuador ¨Hueca¨ means a famous place where you can eat some typical food or fast food. 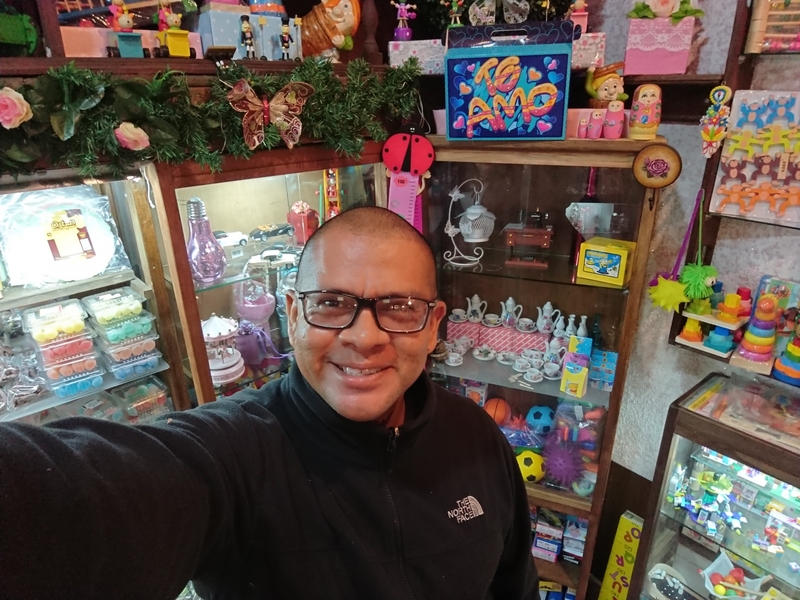 Before making my trekking to the volcano the Altar, I received the invitation of Maria Fernanda and her husband who are the ones who print my La HuecaTrips t-shirts to go for a walk around Quito. 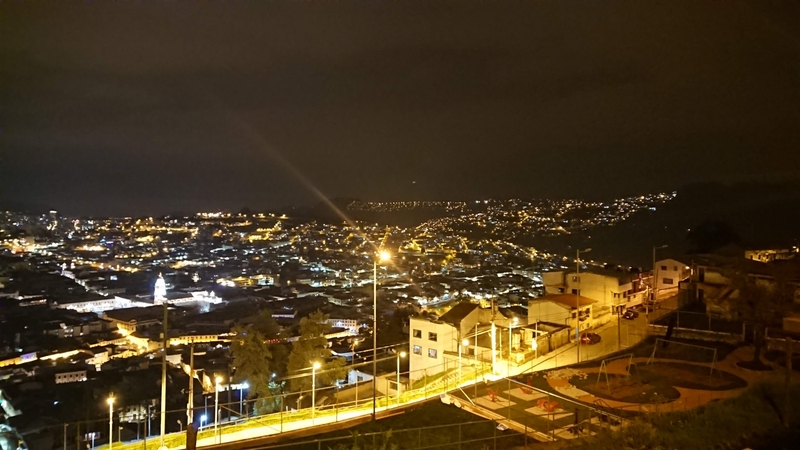 In that time I visited Quito at night that I had not done it before in the area historical. Our first stop was La Ronda, one of the oldest and most traditional streets of the city, which has been a favorite place for artists and bohemians and is currently full of restaurants and live music. The Ronda is located on Morales Street, one block from the Plaza de Santo Domingo, Walk down at Guayaquil Street. Generally, its premises open their doors at night. We can arrive by car, where we will find a public parking, we can leave the car without any problem and it is a safe way. If we go to the Trolleybus, the nearest stop is the Plaza de Santo Domingo. When we arrived to the Ronda I was surprised by its bohemian movement of locals with live music and even street artists. 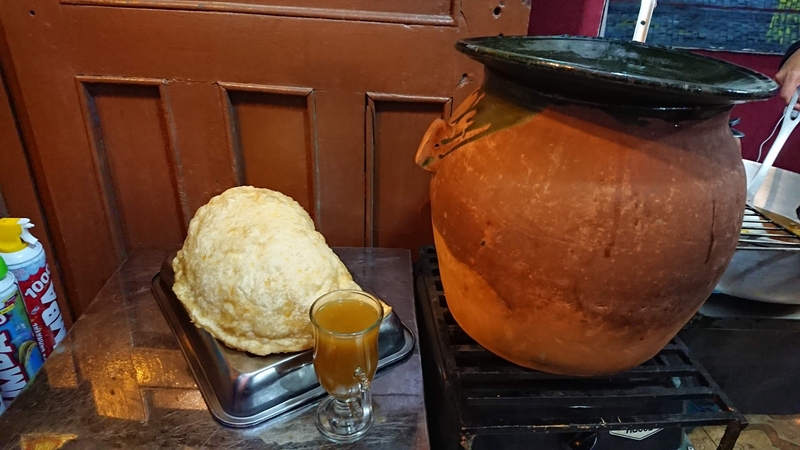 As a first point of our visit was a local that sold the famous ¨canelazo¨ a drink that is prepared in a clay pot, which for a value of $ 1 you can buy this drink that can be ordered with alcohol or without alcohol, this is the best way to warm your body of Quito’s cold. A drink that will make you want to ask for more. 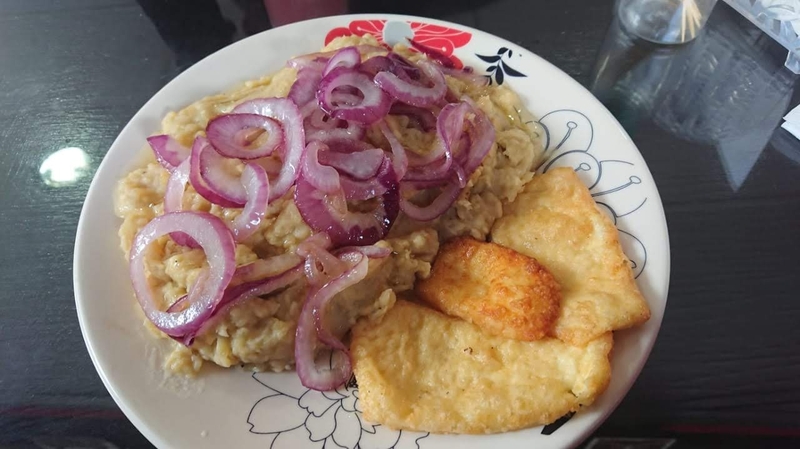 In the same place we find the famous empanadas de viento, that are made from wheat flour, a huge size filled with cheese but as its name indicates when you bite there is more wind than filling, but it has an oustanding flavor. In the Ronda we will find those traditional candy shops that will allow us to find those sweets that we enjoyed as children, but this sweetshop is also for adults, here we find sweets filled with liquor as well as whiskey, tequila, vodka, Espiritu del Ecuador and Pajaro Blue that are traditional drinks of Ecuador. If you suffer with the cold with these candies surely it calms it. If you are going to buy these candies, you have to be careful when handling them because if they shake the box these explode. The Ronda surprised me with its flavors and its bohemian atmosphere. 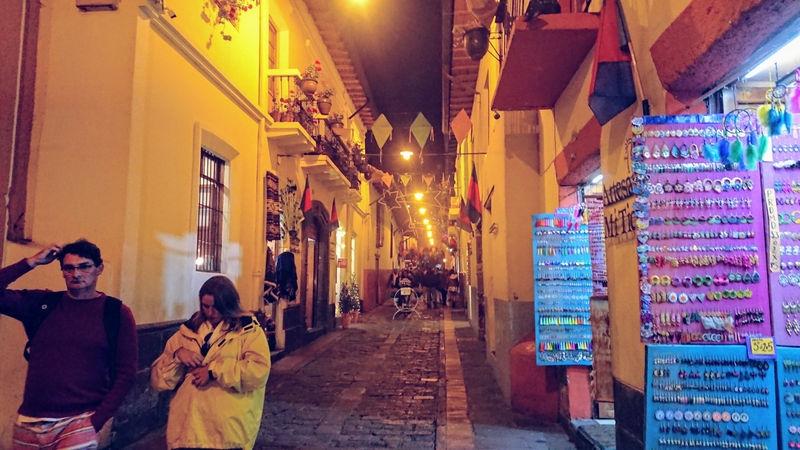 On my next visit I will look for a place closer to the Ronda and have a longer night in this amazing place that makes Quito surprised with its great amount of flavors and entertainment. 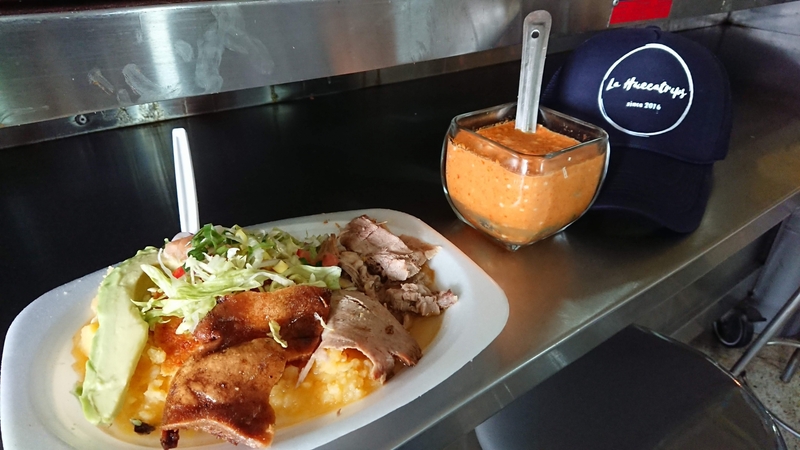 Finally, Maria Fernanda and her husband take me to try some sandwiches in ¨El Arbolito¨. These sándwiches are made with all kinds of cheese and the best quality of sausages. This sándwiches have very good prices between $ 3.30 and $ 4.50. These sandwiches are the best in quality and price. We will find ¨El Arbolito¨ in the Eloy Alfaro Avenue N47-108 and the Mortiños. 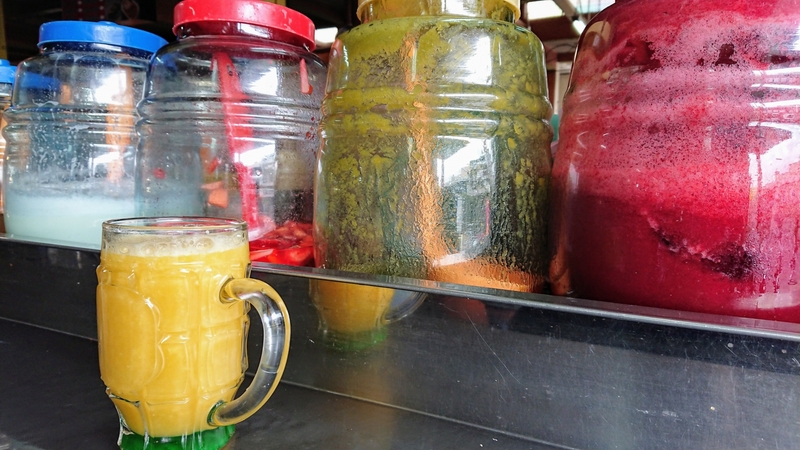 Finally, I have to visit more ¨Huecas¨ because Quito has a lot of flavors to share.